On this week’s 51%, we’re going to talk about it – suicide. First, we turn to an author who explores some philosophies against suicide. Then we hear from a researcher who is trying to get to the heart of why Latina teenage girls attempt suicide more than any other adolescent group. Unless in the headlines, such as with actor and comedian Robin Williams, who committed suicide in August, suicide is infrequently a topic of discussion. Jennifer Michael Hecht, a poet and historian, wants to change that. 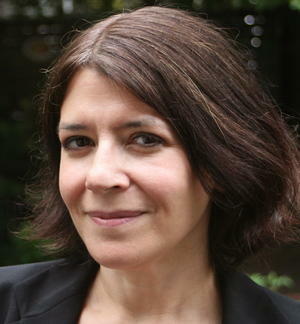 She is the author of STAY: A History of Suicide and the Philosophies Against It. I asked her why she wrote the book. Hecht also is the author of three volumes of poetry and three history books, including the best-selling Doubt: A History and The Happiness Myth. Her essays and poetry have recently appeared in The New York Times, The Washington Post, The Boston Globe, The Philadelphia Inquirer, The New Yorker, The Paris Review, and the New Republic. 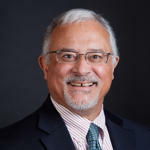 Dr. Luis Zayas is dean of the School of Social Work at the University of Texas at Austin and Robert Lee Sutherland Chair in Mental Health and Social Policy. According to the U.S. Centers for Disease Control and Prevention in 2012, of students in grades 9-12, significantly more Hispanic female students reported attempting suicide than either Black or White, non-Hispanic female students non-Hispanic female students in the previous year. Dr. Zayas says the latest results for 2013 show the same pattern, that Latina teenage girls are at higher risk of suicide attempts than all other adolescents. I asked Dr. Zayas why the pattern has stayed the same for some 30 years and what needs to happen for the pattern to break.